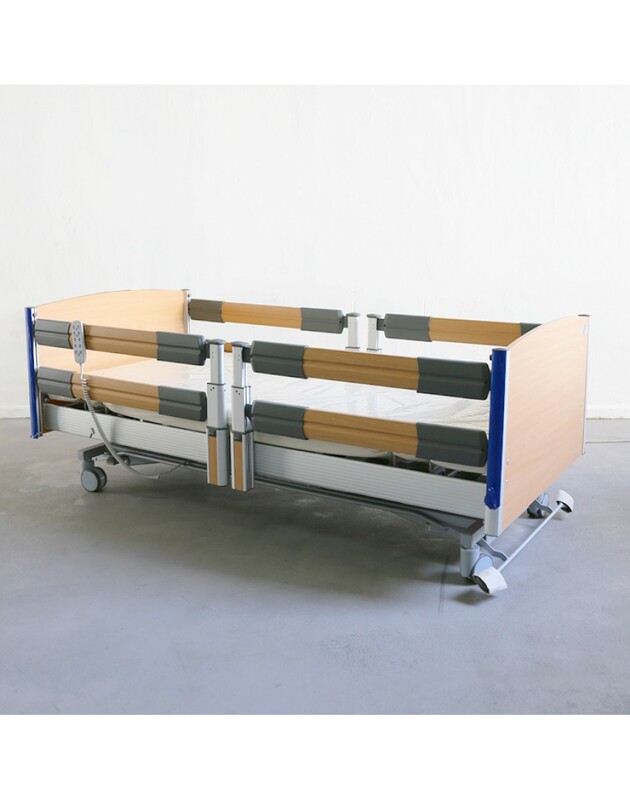 The Practico range of premium luxury nursing beds has many new features with regards to functions and innovations. 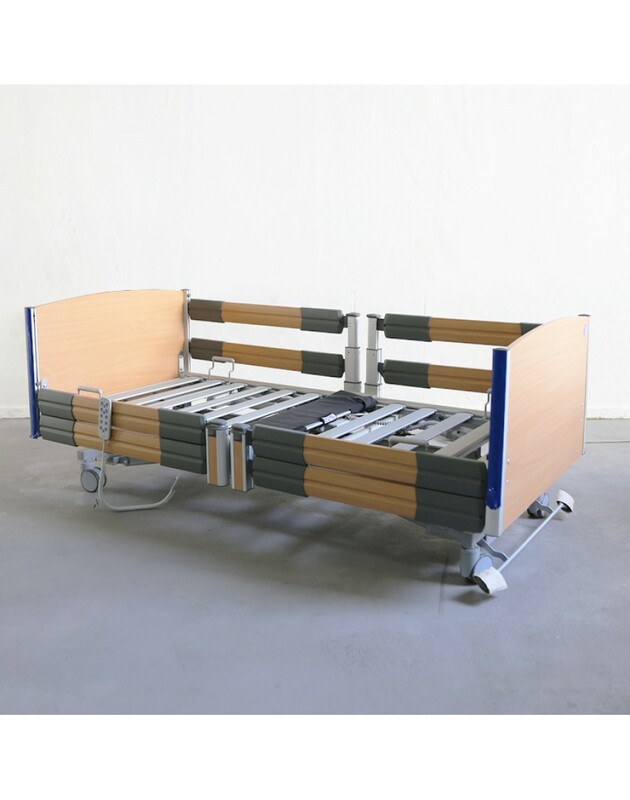 It is a cost effective solution for users who wish to have high quality beds made in Germany, yet affordable at the same time. 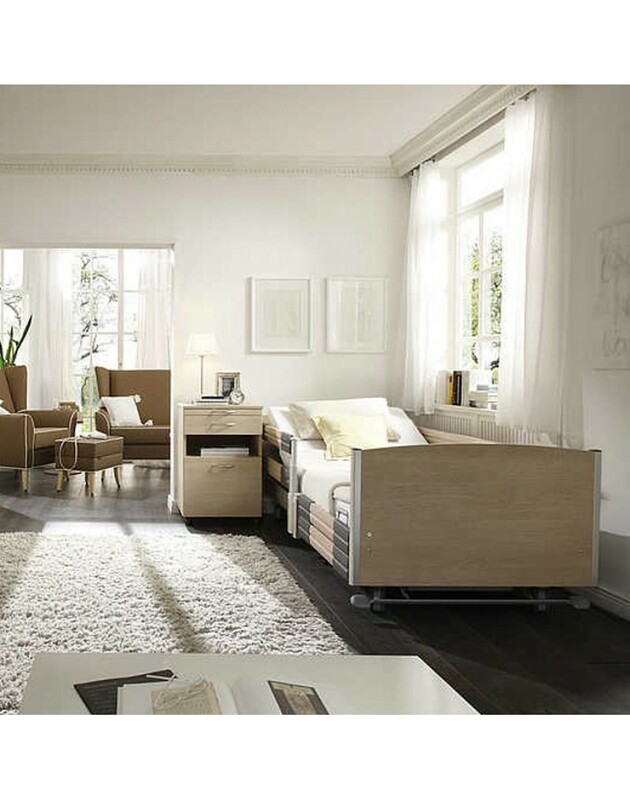 The Practico Alu Plus comes with divided safety sides to allow better support when getting in and out of bed. 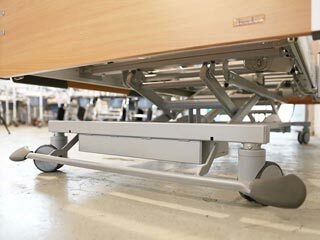 The Practico Alu Plus has a low height of 25cm from the floor, providing the best protection for falls. 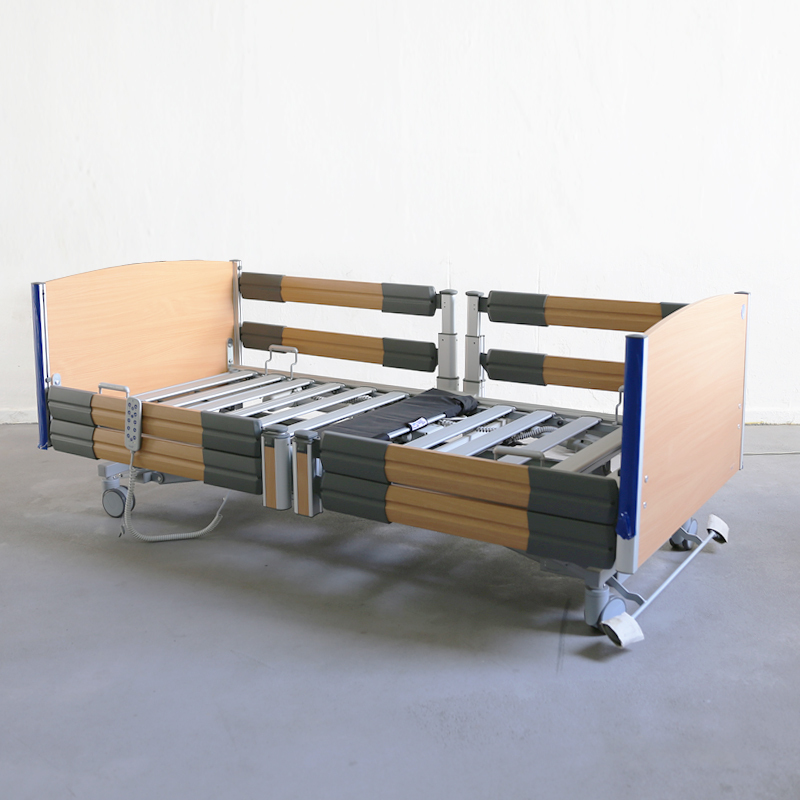 All Practico Alu Plus beds comes with an intelligent handset with a clear menu structure and ergonomic design. 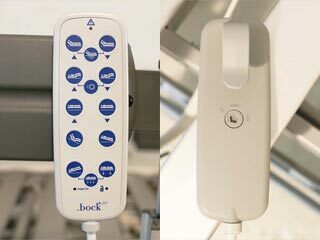 It has fewer buttons and large symbols which facilitate intuitive operation. 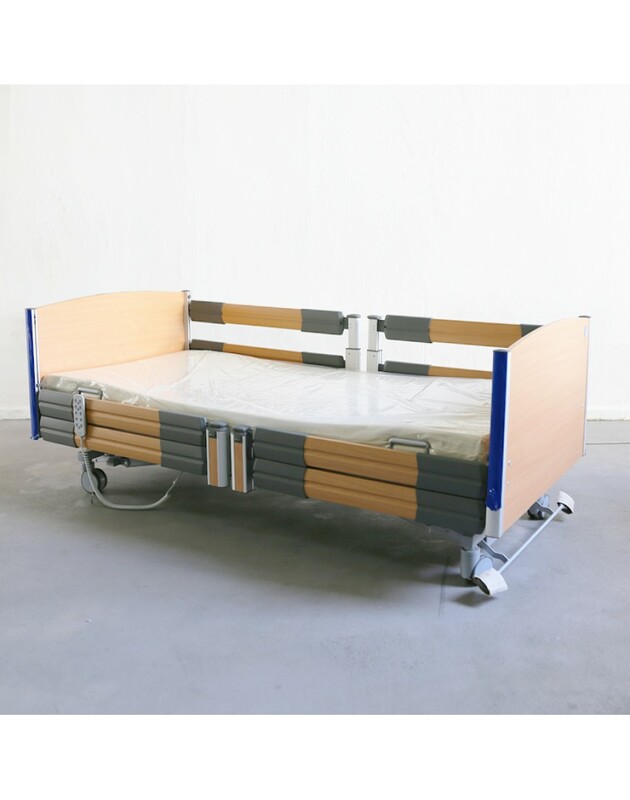 The handset can also be locked from the back using the key provided, further improving the security of the bed. 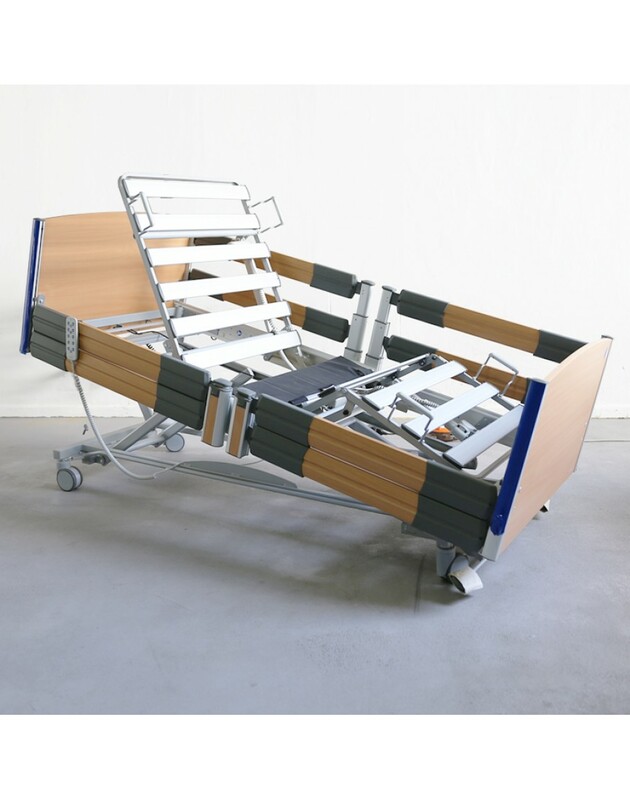 Automatic Comfort Seating - brings the bed into a pre-selected sitting position for watching TV and reading comfortably, for eating or communicating at eye level. In addition, this position facilitates breathing and digestion. 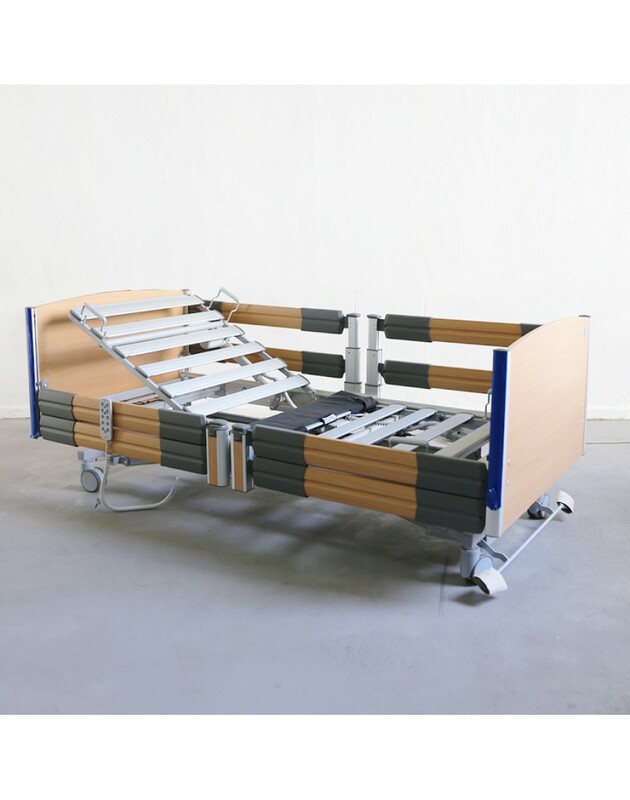 It trains spatial orientation and stimulates circulation for residents confined to bed. 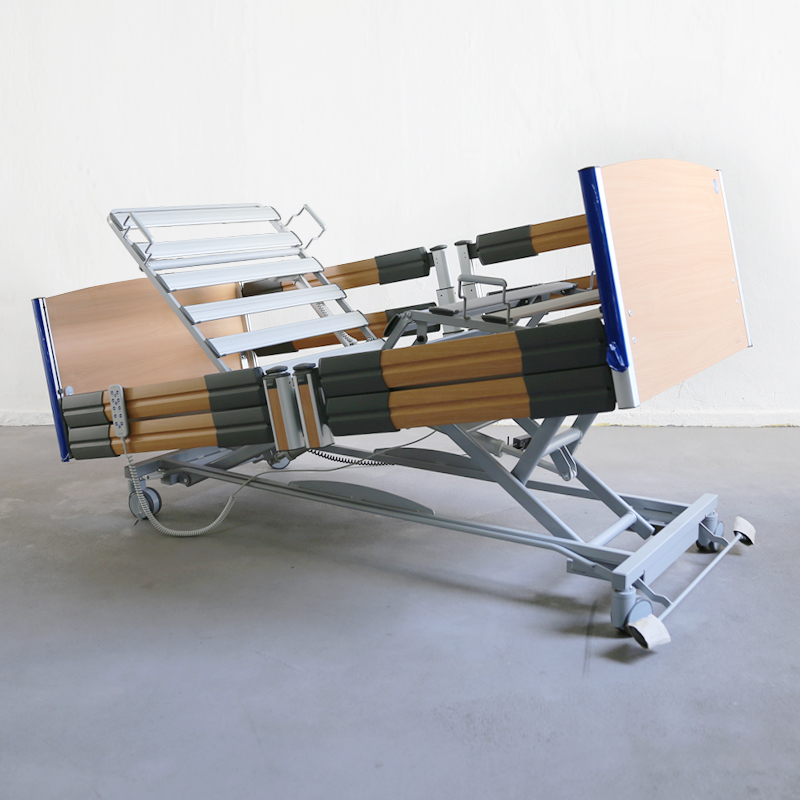 The double retraction provides additional relief of pressure in the sacral area. 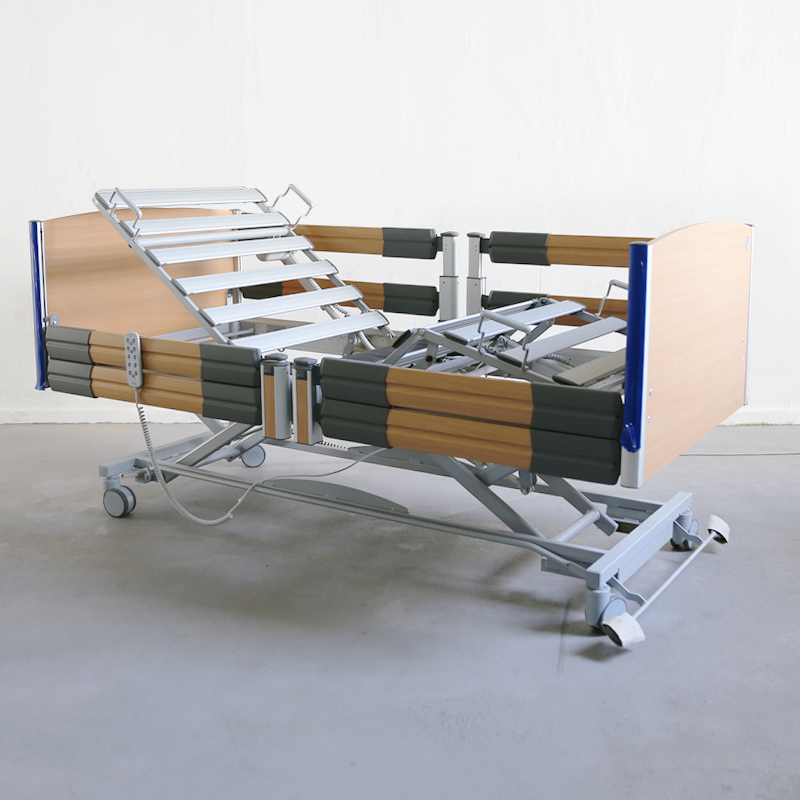 Automatic Positioning - The preset legs up position promotes decongestion with venous diseases and at the same time supports bedsore prevention. 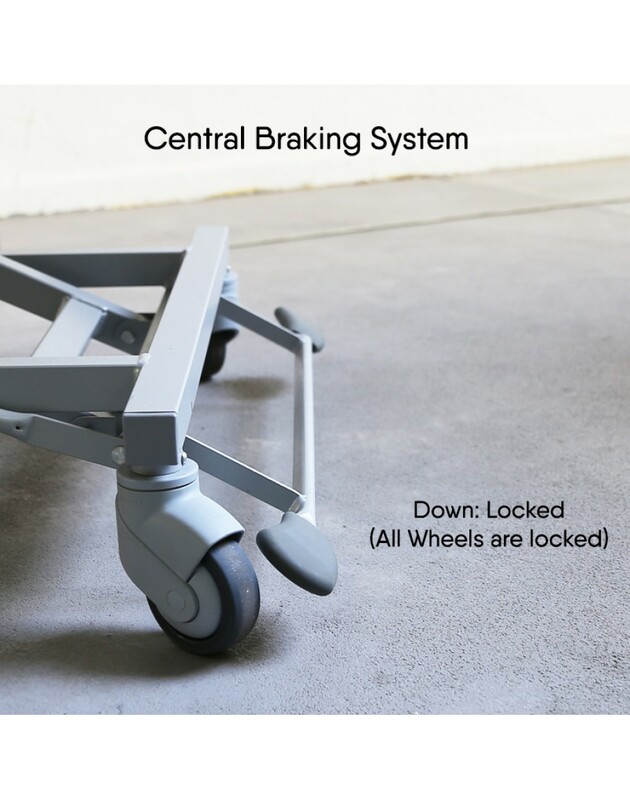 The laying surface of the Practico Alu Plus is removable for easy cleaning and maintenance. 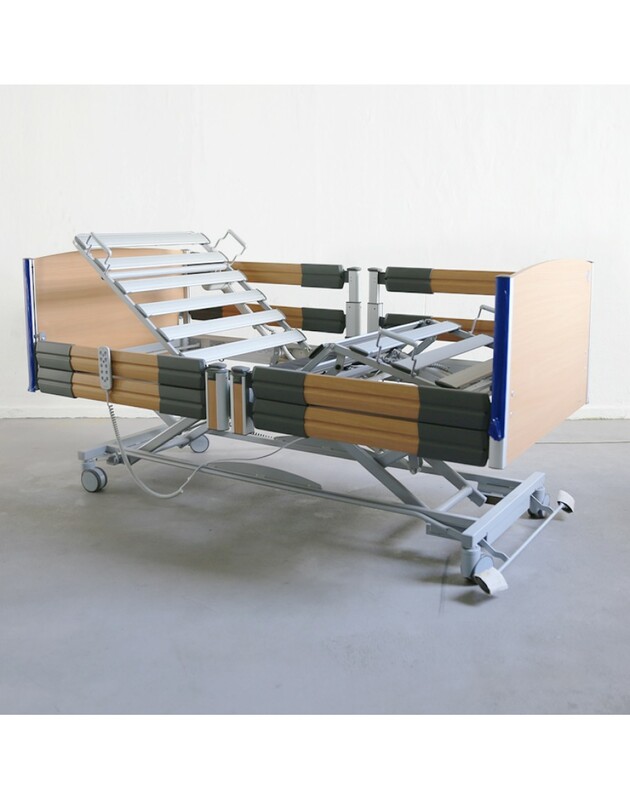 Made of durable aluminium, the laying surface provides comfortable support for an ergonomic sleeping experience. 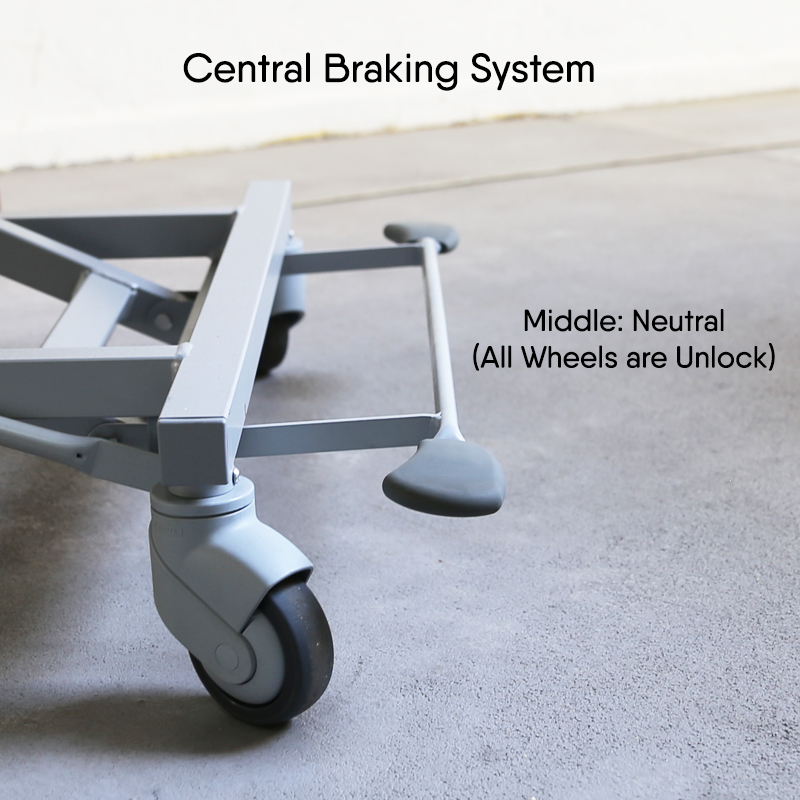 Braking has never been easier. 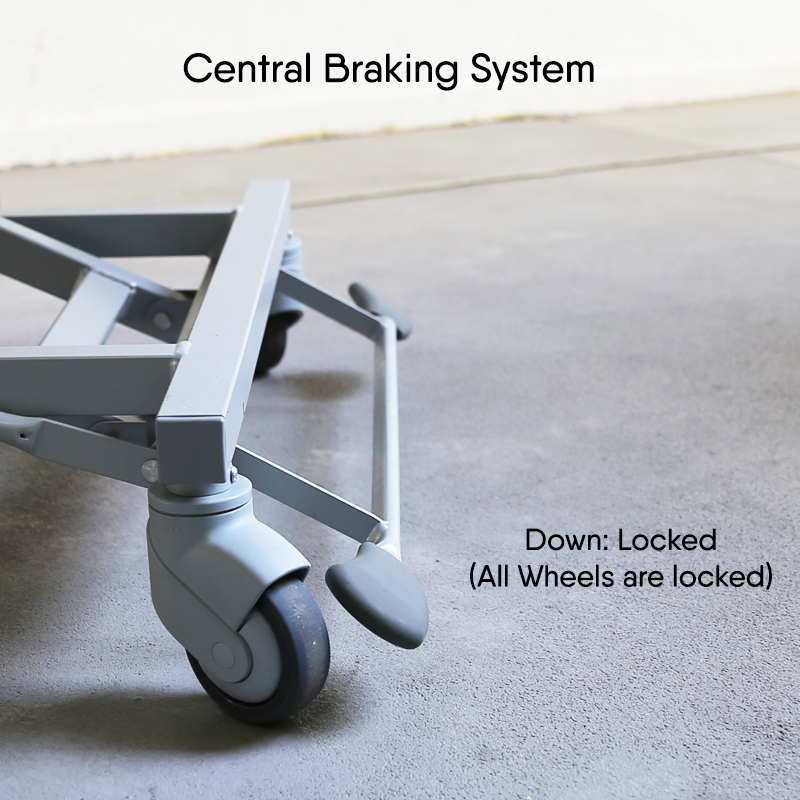 Through a central braking system, brakes can be applied to all 4 castors through the central pedal via foot operation. 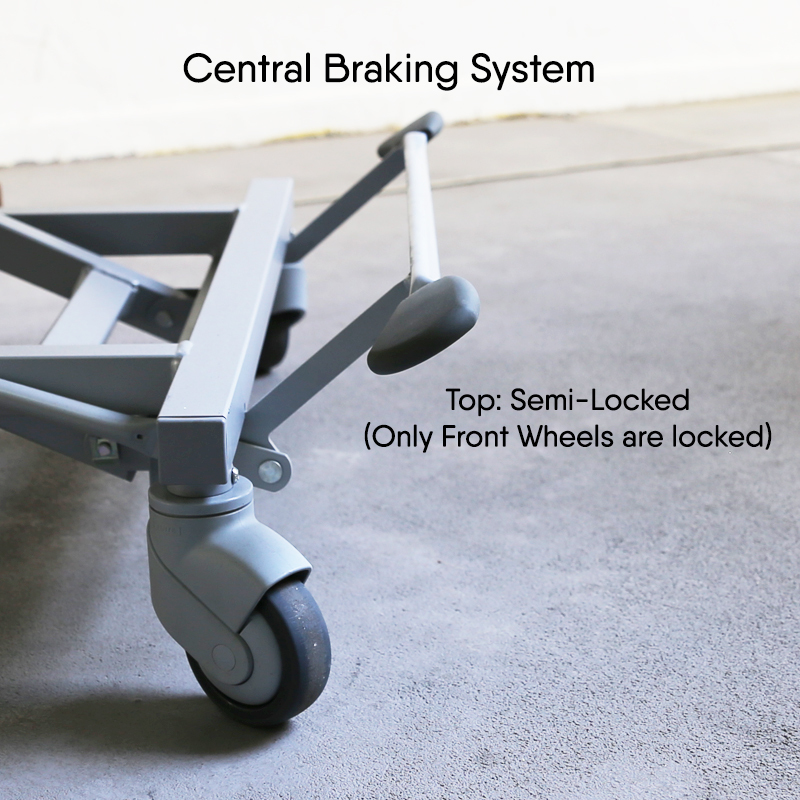 You can lock all wheels without the use of any electricity, and operate the brakes at any bedding height, which reduces back strain. 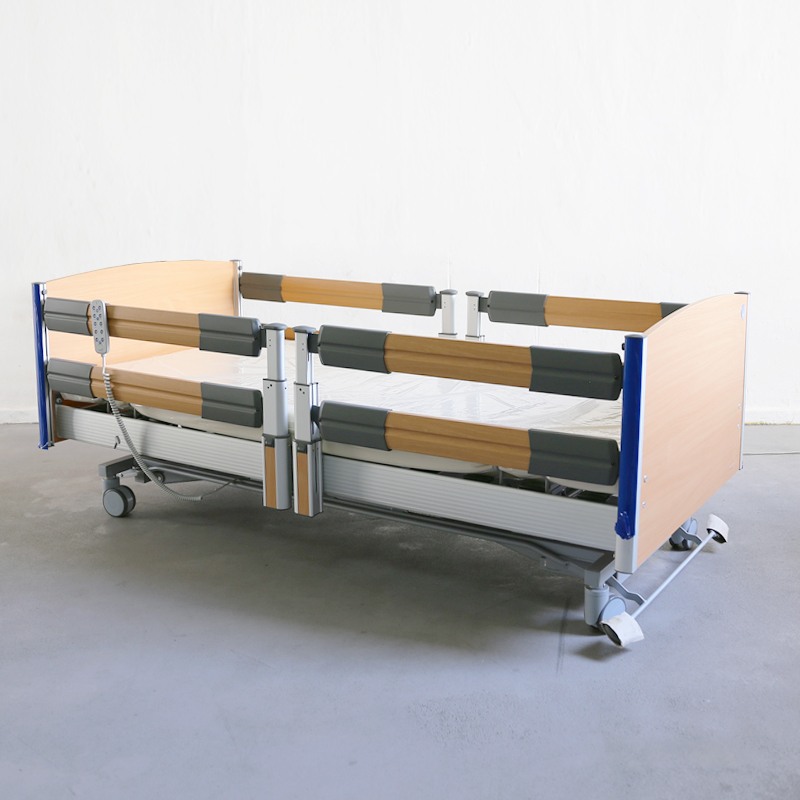 Multi directional castors allow easy manoeuvrability of the bed. 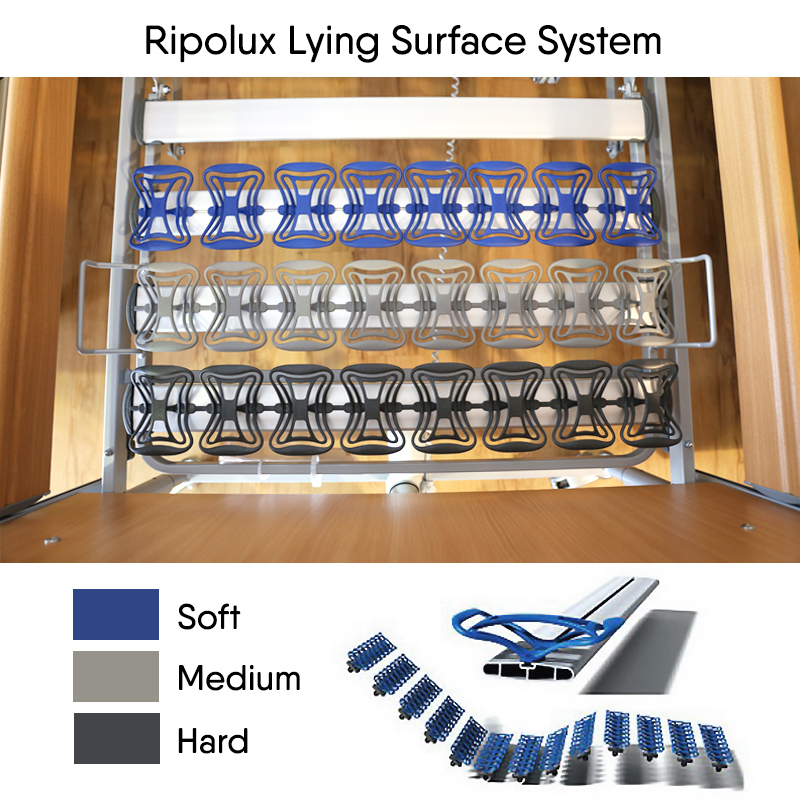 The Ripolux is an add-on flexible lying surface system that can be adjusted to distribute the body's pressure perfectly. There are 3 degrees of spring hardness available (Soft, Medium, Hard). 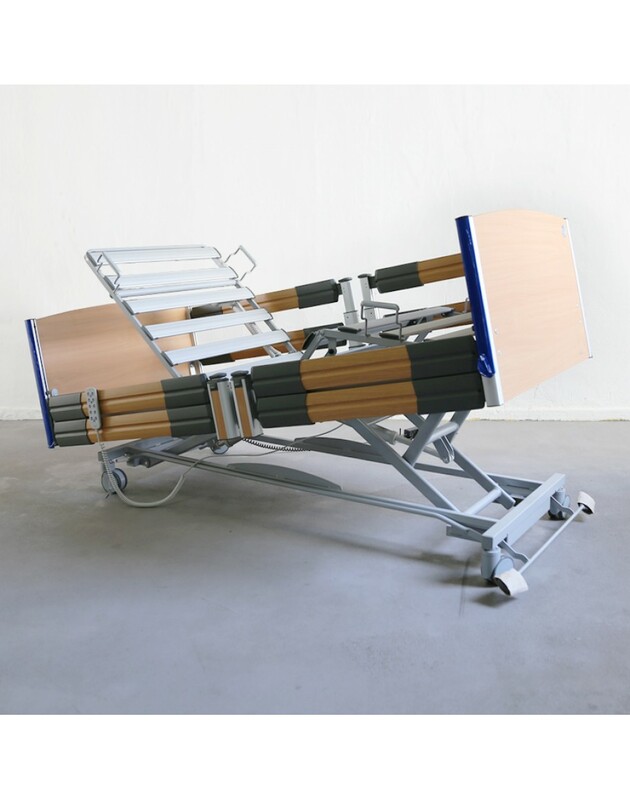 It is made of high-performance plastic for long-lasting elasticity and durability. 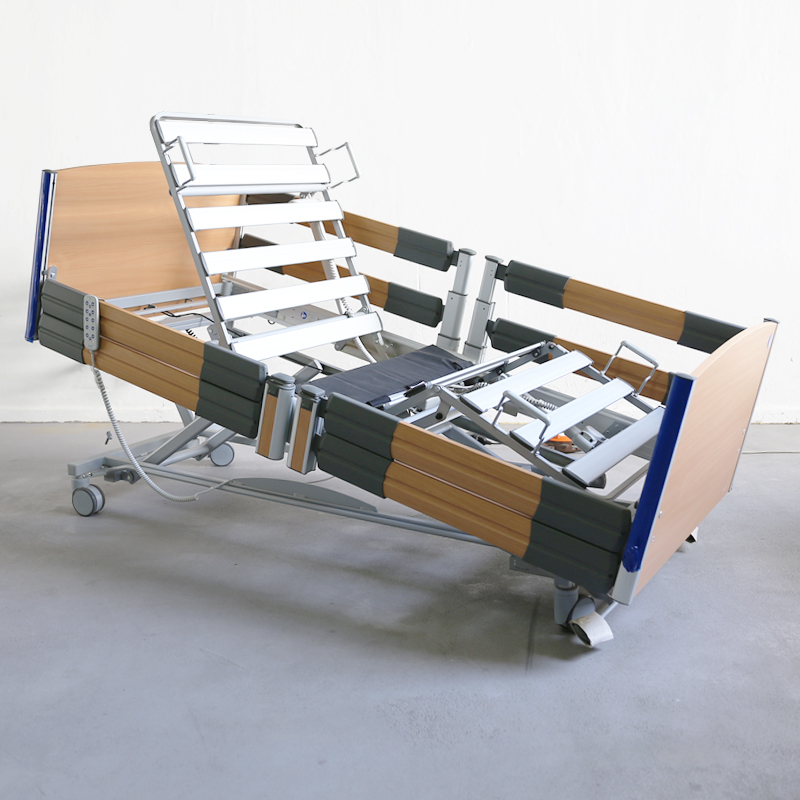 The Ripolux helps with handicaps and paralysis with selective pressure relief plus targeted back and body support. 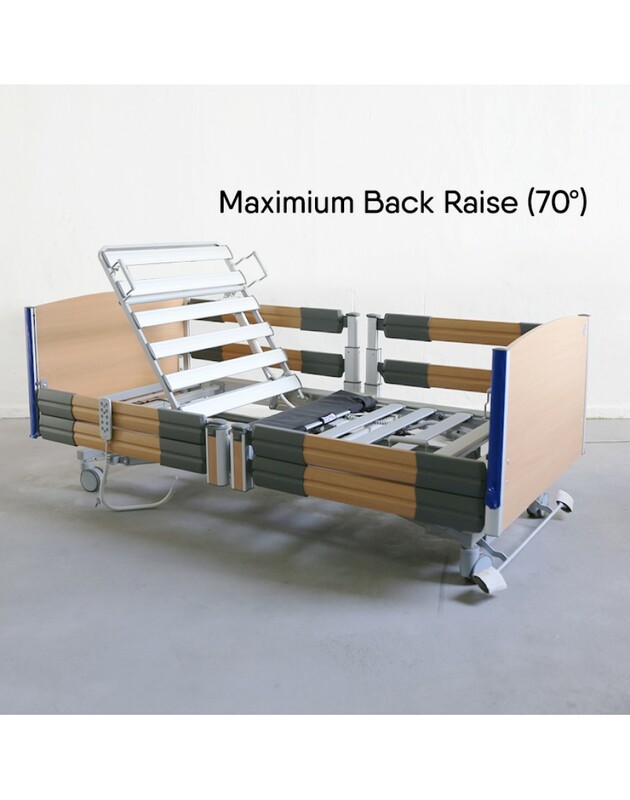 It also helps with pain and bedsores to relieve patient's back, reduces tension, restlessness and night activity. 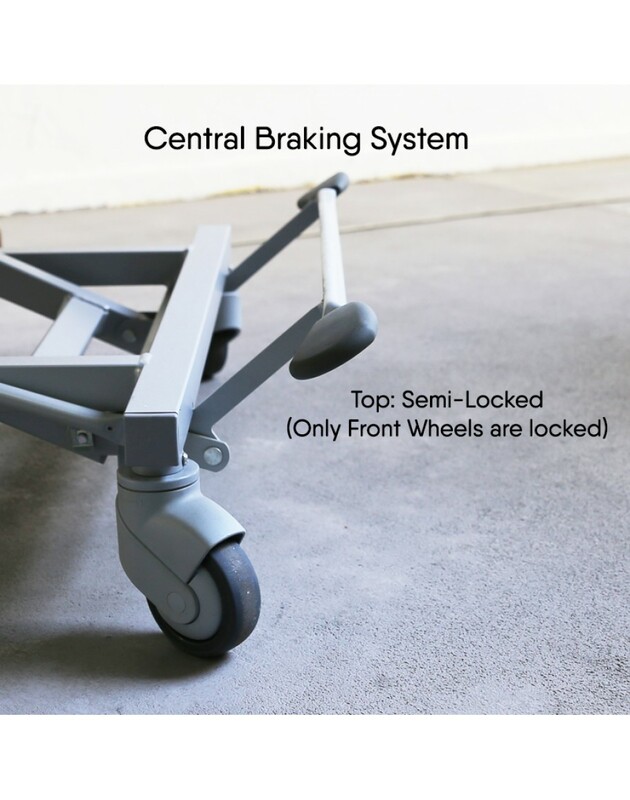 The springs are easily fitted into the aluminium laying surface without any tools. 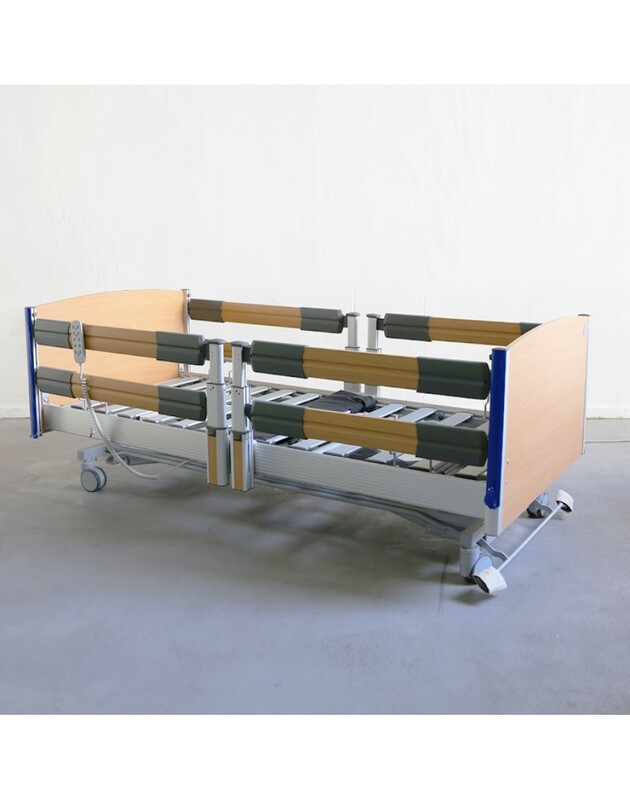 No moisture absorption and easy cleaning (maximum hygiene). Ideal ventilation and few supporting surfaces to keep mould from forming.